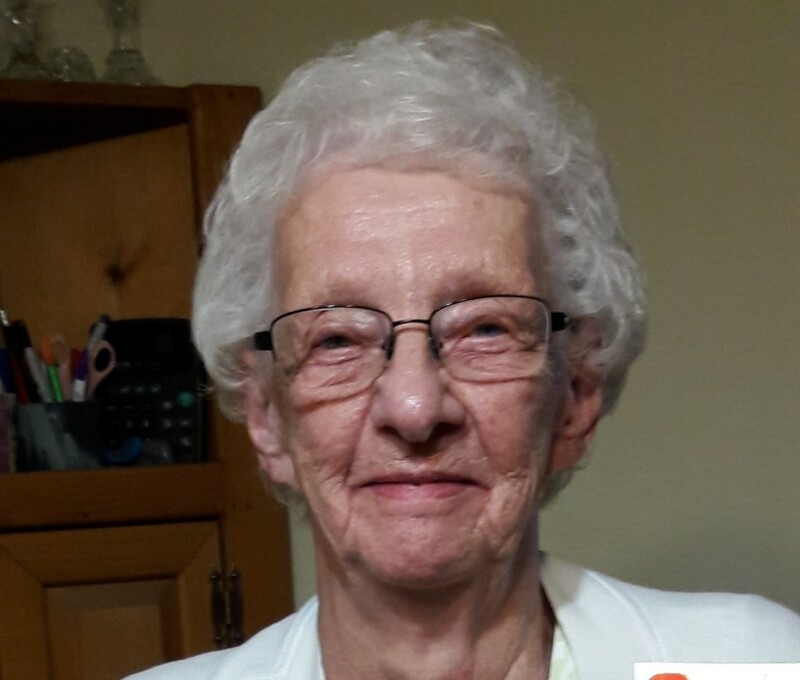 Violet L. Watkins, age 85 of Litchfield, MN died on Wednesday November 14, 2018 at the Meeker Memorial Hospital in Litchfield, MN. A memorial service will be held at 2:00 PM on Friday November 23, 2018 at the Johnson-Hagglund Funeral and Cremation Service in Litchfield, MN. A gathering of family and friends will be held from 1:00 until the 2:00 PM service. Violet Leona Watkins, the daughter of William and Minnie (Mead) Kemp was born in Kandiyohi, MN on September 15, 1933. She spent her childhood in Cass County and her adult life in Litchfield, MN. She was baptized on May 28, 1939 and united in marriage to Arnold “Ray” Watkins on July 17, 1954 in Pine River, MN. Even though they divorced they remained friends. Violet worked at various jobs throughout her life including The black cat café, Mary’s café, Jenni-o, Land-o-lakes and ending her career at Sparboe’s and Center National Bank where she worked with many youth of the community and made many lasting friendships. In her younger days she loved dancing with her siblings at the Backus Ballroom. She made many friends while on bowling leagues and pitching horseshoes. She enjoyed jigsaw puzzles, her daily cryptoquip, games, and playing cards with family and friends. She spent many hours laughing and joking while playing triple solitaire with her children and grandchildren. But her favorite pastime was visiting, especially at her kitchen table where she was always ready with a homemade treat and a fresh cup of coffee. Throughout her life she was a second mom to many. Violet loved her family. She loved bragging up her grandchildren and great grandchildren, it made her proud to have helped raise them. She will be greatly missed. Violet is survived by her children Deborah (Jack) Heacock of Litchfield, MN, Denise Ross of Litchfield, MN, Donna Pearson of Litchfield, MN and Darla (David) Kauppi of Litchfield, MN; 9 grandchildren; 13 great grandchildren; and brothers and sisters Margaret (Harlan) Skinner of Aitkin, MN and Wilbur (Faye) Kemp of Paynesville, MN, sister-in-law Judy Kemp of Spicer and brother-in-law Jim Haugen of Dassel and many nieces and nephews. She was preceded in death by her parents William and Minnie Kemp; sister Edith Haugen; and brother George Kemp. Following the service, fellowship and lunch will be held at the Meeker Coop Community Room at the Meeker Cooperative Light Building, 1725 US-12, Litchfield, MN 55355.